Many guys walk into the exam thinking they will get the test over with and walk out with their license in their pocket. You don’t have to be psychic to know that 99 percent of the time those guys will fail. You’ve heard of that guy a few towns away, the friend of the friend’s cousin’s brother in law who works at this company with the husband of your sister’s best friend. Yeah that guy that applied for his license, received the invitation to take the exam, waited till the very last minute to take the test and passed it with a 75%. If you believe that then I believe I can eat cheesecake every day and look like that hot girl every guy dreams about. Come on. Because I want you to succeed (hence the “Excel” part of our name) I’m going to be straight and nasty with you for a minute, it’s called tough love. Don’t wait until the last minute to crack open a book. I don’t care if you come to our seminars, buy our books or buy books from someone else, get yourself a book or a course (or both) and get studying already. It takes at least 3 months to properly prepare for the exam. I didn’t make that part up. 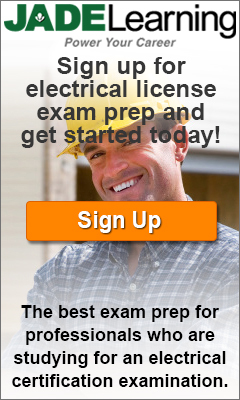 I’ve been doing this for at least 7 years and from what I’ve seen firsthand, 3 months is the average amount of time it takes to properly prepare for the exam for the average electrician. Factor in that you have a full time job, a family and a life to tend to during your quest to getting your license and you end up with 3 months of dedicated exam prep time. You must devote a minimum of 1 hour per day (free of all distractions). Why 1 hour? Well it takes your brain a while to warm up, you have to review the material you went over yesterday (if you are being a good student and doing your homework daily), then it will take a few minutes to finally get into the material you need to review that night. By the end of the hour your brain will be tapping at the maximum productivity level and you don’t want to exhaust yourself. Plus, remember you still have a life and family and work to do, so let’s be realistic. You will need a study strategy. Whether it’s books and self-study, group study or a seminar or course you will need a strong study strategy. You will need a code book. 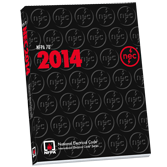 The majority of the states have adopted the 2014 - 2017 NEC book. Check out your examination bulletin to determine which book you will need. You will need your state’s examination bulletin. We started a compilation of several state’s examination board websites and their examiner’s bulletin. Go here to find your state. Some states don’t issue exams but the local municipalities or towns do. You must know what will be allowed in the exam. You will find this information in the examination bulletin or your exam provider’s website. Do not try to memorize exam questions. This will not work in your favor, just don’t do it. Use your memory for something more useful like calculations, formulas or memorize important articles in the book. Do not cram. We are not in high school guys, cramming barely worked then it will NOT work now. Find out what is the best study method for you. You and I have different ways of learning and retaining information. Find out what is the best study method for you then build a study strategy around that. We found a website that helps you determine or at least helps you see what methods are available. Check it out here. Practice questions, practice exams and practice navigating your book. What is the point of practice questions and practice exams if memorization doesn’t work? Well, the point of practicing with practice questions (even if the same questions won’t be in the exam) is to help you become familiar with your NEC book. Even if the same question won’t be in the exam you will have the same subject area in the exam. You will want to learn how to use your book before you take your exam so you can handle the book with ease and finish your exam on time. Practice exams make it easy to test your knowledge as well as test your ability to navigate through your book and see if you recognize what type of questions you are answering. Are they code questions? Calculations? If so, what type of calculations? Do you know what formulas, tables or exceptions/notes to use? If you’re sweating just reading this part, I suggest you sign up for A seminar now. You will not want to do this alone. Highlight underline mark and tab your book. WARNING: Check your examination bulletin first to determine if you will be allowed a tabbed & highlighted book. 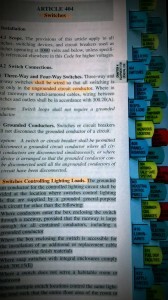 We sell NEC books that are already tabbed & highlighted, great right?! We think so. 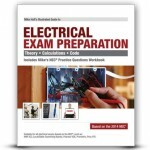 We have helped hundreds of electricians pass their exams with just our tabbed & highlighted books. There are a handful of other instructors selling their version, but what makes ours so special? Well, you get tabs that are specially made specifically for the exam. 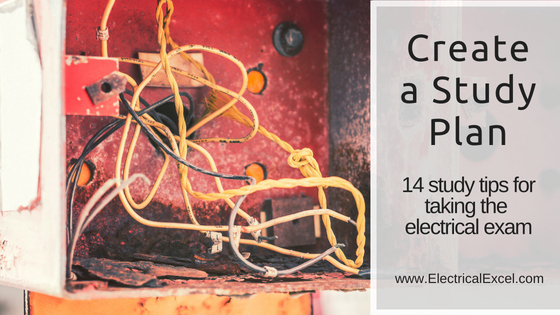 Most tabs in the market are printed for the engineer or electrical inspector in mind; they are often used in offices for reference and such. There is absolutely nothing wrong with that, but we are in the test taking business so we created these tabs to point to the formulas, tables, and subject areas you will be tested on to keep you focused on what you will need that day. Highlight your chapter titles in one color, sections and parts a second color, then the actual text within the article a third color. This way during the test you can easily distinguish you subjects. In the table of contents, highlight the articles you find yourself reading the most (if you are following an Exam Preparation book) and also in the index, highlight the articles you refer to the most during your study sessions. Don’t forget to highlight tables & examples. Here are some areas to highlight to get your started. Highlight your index and add page numbers as you go. You will notice the index does not give you page numbers, only article numbers. Besides highlighting your index, make sure to add page numbers as you go. During the exam you will kick yourself if you end up wasting time looking for an article rather than a page number. Then you will kick yourself again for wasting time kicking yourself. Vicious cycle, just write the page numbers and avoid putting up a circus freak show for the other test takers. They might appreciate the comedic relief but just don’t. Share your experience with us to help others pass. Pass it forward. 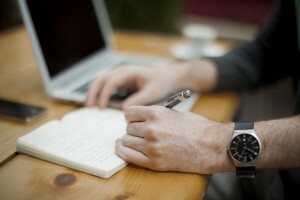 Share this blog, your notes, and your experiences with others and help them reach their goals. We would love to hear your thoughts or comments. Good luck with your test and thank you for letting me ramble on. I’ve been doing this for over 10 years and if there is anything I know that can help you pass, I want to share it all with you.